Losing someone you love because of someone else’s negligence is a devastating experience. During severe emotional trauma, you must also cope with overwhelming logistics like funeral arrangements, financial setbacks and legal questions. Nothing can prepare you for an experience like that. In the wake of a loved one’s death, we know that legal action may be the furthest thing from your mind, as it should be. Once you have had time to heal, however, you may decide that a wrongful death suit can bring stability and closure after a tragic event. At Elk & Elk, our goal is to make sure you are equipped for the significant financial challenges resulting from your loved one’s death. While no amount of money can ever bring them back, we can help you secure the resources you need to move forward with your life. We have helped thousands of clients with their personal injury and wrongful death cases in Cleveland and throughout Ohio and we can help you, too. Talking to us about your situation costs nothing. Call us for a free consultation at our Cleveland or Mayfield Heights office: 1-800-ELK-OHIO. Wrongful death simply means that a person’s death was caused by someone else’s negligence. This could be because of something the other person did or failed to do that resulted in the tragedy. Ohio generally recognizes the right of the spouse, children and parents of a deceased person to recover damages through a wrongful death civil suit, though other family members may be eligible as well. The average life expectancy in Ohio is 75.1 years. But a life can be cut short when someone else’s negligence or recklessness leads to an accident resulting in a wrongful death. When can I bring a wrongful death claim? According to the Ohio State Highway Patrol, there were 1,072 traffic fatalities in Ohio in 2018. If your loved one died in a collision with a car, motorcycle, semi truck or other vehicle on Cleveland’s busy roads, you may be able to pursue a wrongful death suit against a negligent driver. A city or other municipality could also be liable if the accident resulted from an unsafe road surface or inadequate safety features. Sometimes a physician’s or nurse’s mistake can result in a patient’s death. This can happen because of misdiagnosis, a treatment that’s incorrectly given or the failure to notice something a caregiver should have seen. Companies often rush products to market with designs that have not been fully tested, leading to preventable — and fatal — accidents. Alternately, manufacturing defects can cause the catastrophic failure of sensitive equipment, like a medical device. In both cases, liability can potentially lie with corporations. Many occupations are inherently dangerous, like construction and warehouse work. If an employer disregards safety requirements, fatal accidents can occur. This could be a drunk driver, aggravated assault or any other malicious act that unnecessarily causes someone’s death. A wrongful death lawsuit is a civil action, separate from the criminal trial. Whenever someone passes away under questionable circumstances, there is always the possibility of a wrongful death suit. If you have questions about your situation, please contact us as soon as you can. Recovering from the initial shock of an unexpected death can take months, to say nothing of long-term healing. Becoming involved in a legal action may feel like more than you can handle right now, and if so, we certainly understand. However, you should know that you have limited time to file a wrongful death claim. In Ohio, the statute of limitations is two years. This period begins from the date of the person’s death or from the time that you discovered that the death was the result of someone else’s negligence. Ideally, we would file the claim well before that, as we do not want you to lose an opportunity to gain financial stability from a settlement. What damages are available through a wrongful death claim? In typical personal injury cases, this refers to the pain and suffering of the injured person. In a wrongful death suit, however, it refers to the emotional devastation of losing that person. You can receive compensation for losing the financial support of the deceased person based on his or her earning power and typical income. This includes all the unpaid tasks that support a household, including child care, yard work and home repair. This is a legal term for the care, companionship, support, guidance and comfort that a family member provides. Heirs can receive compensation for the inheritance that the deceased person would have received. 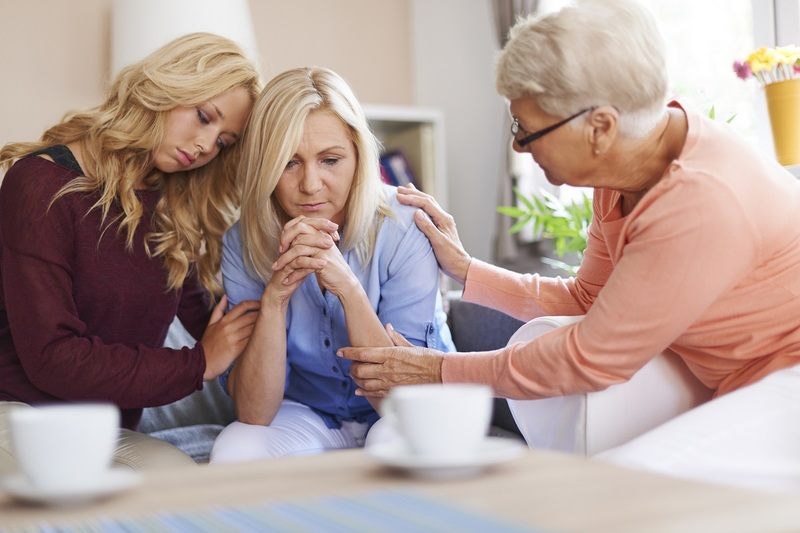 All funeral expenses are eligible for recovery under a wrongful death action. In addition to the expenses listed above, other eligible expenses may apply in your situation. We will be able to determine this after a thorough review of your case. How are damages divided between family members? This is determined by inheritance laws in Ohio. If the deceased person had four surviving children, they would divide the damages evenly, since their relationship to the decedent is of the same degree. If the heirs have different degrees of relationship, then the court will decide how best to distribute the damages. Navigating the legal world is difficult under the best of circumstances, and it is considerably more so when you are grieving. We can help you obtain the justice, closure and stability you need. Whenever you are ready to talk, we are ready to listen. Contact us as soon as you can to take advantage of your free consultation. You can use our contact form or call our office: 1-800-ELK-OHIO (1-800-355-6446). We serve clients in Cleveland and throughout Ohio.